May and June. During this time, travellers can experience the transition from Arctic winter to spring under 24-hour sunshine. 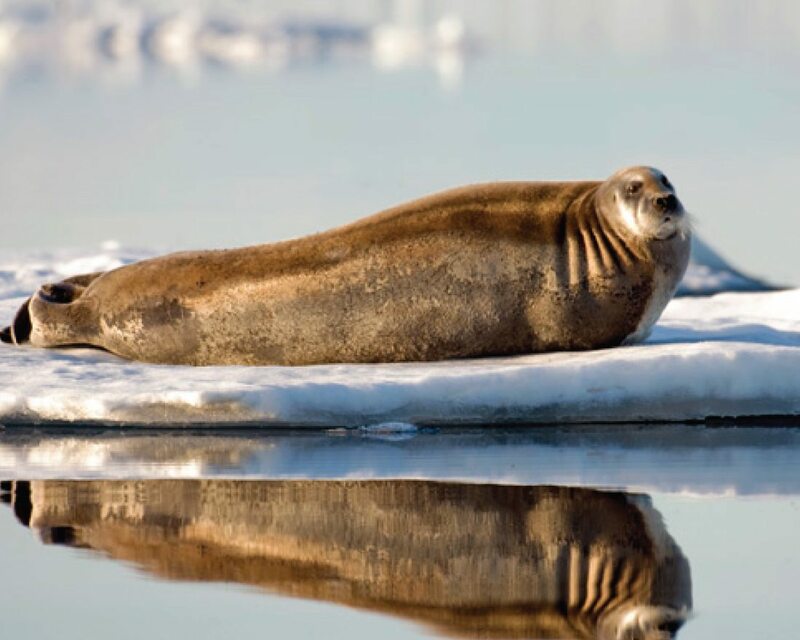 Watch as the tundra comes alive with wildflowers and get incredible wildlife viewing opportunities with the annual migration of narwhal and beluga, and other Arctic mammals as they congregate at the floe edge. The dramatic landscapes protect the area from strong north winds, allowing inhabitants to enjoy a stable climate. Visitors and residents of Arctic Bay experience the midnight sun in the spring and summer months, with 24-hour sunshine from May to August. In summer, travellers can expect temperatures ranging from 0°C to 15°C. Fall and spring see temperatures from 0°C to -30°C, and winter temperatures tend to be around -35°C but can drop as low as -50°C. Located on the northwest tip of Baffin Island, bordering Lancaster Sound and the famed Northwest Passage, Arctic Bay is the northern-most destination visited by travellers on our Arctic Safaris. This vibrant, tradition community has been inhabited by nomadic Inuit for almost 5,000 years. Inuit make up 95% of the population here. Arctic Bay’s Inuktitut name, ‘Ikpiarjuk’ means ‘the pocket’. This refers to the way the community is surrounded by protective hills on three sides. The steep cliffs and sheltered shores also provide nesting habitats for many bird species. 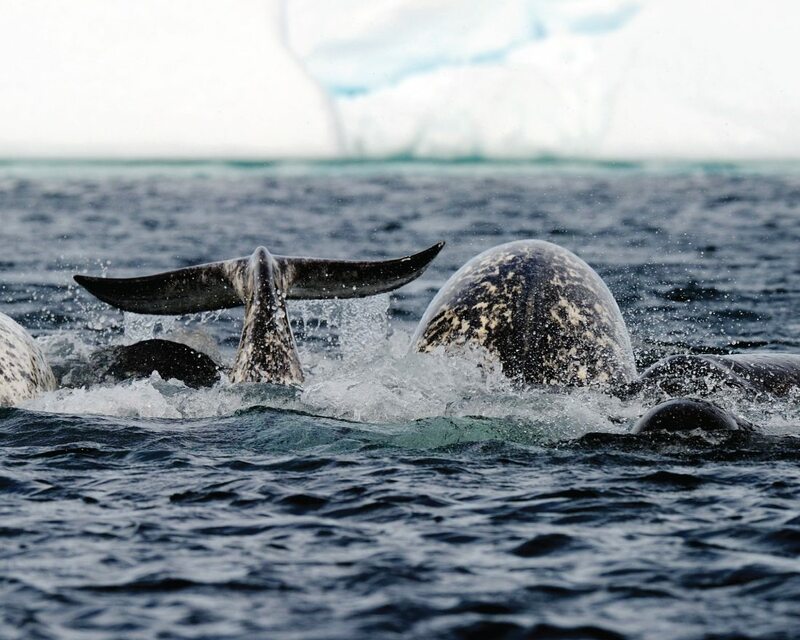 The floe edge in this region is world-renowned as one of the most prolific wildlife areas in the Arctic, with the annual migration of beluga and narwhal to their summer feeding ground occurring in May and June. This is one of the few places where all Arctic marine mammals come to co-mingle.